The world of industry is irrevocably changing quickly, going wireless and getting smarter. Internet of Things Applications Europe 2019 on 10-11 April in Berlin will focus on industry 4.0/Industrial IoT regarding connectivity, predictive maintenance and uses cases. Riding the wave of digitalization, industrial 4.0 highly depends on secure and standardized connectivity platforms. By 2022, 64% of manufactures will be fully connected. The vision for an all connected industry is getting clearer, providing higher flexibility, productivity and efficiency. Increasing factories go wireless by utilising Low Power Wide Area Networks (LPWAN) such as narrow-band IoT(NB-IoT), Sigfox, and LoRa. The coming 5G network pushes forward the private cellular network as a promising option due to the fast speed, low latency and massive connection. Predictive maintenance is a key aspect of industrial IoT (IIoT). Manufacturers still experience up to 800 hours of unscheduled downtime annually, 30% of it unexpected. Fuelled by intelligent factories with connected sensors, tools and machines, and big data analysis including machine learning and artificial intelligence, a new path is emerging to reduce the downtime and perform better maintenance. It also helps to ease the pressures from the shortage of skilled workforce and increasing security concern. Don't miss out hearing from over 250 speakers and meeting up with more than 2,500 attendees from major vertical markets, technologists, entrepreneurs and investors at Internet of Things Applications Europe 2019, part of the IDTechEx Show!, together with other co-located conferences. 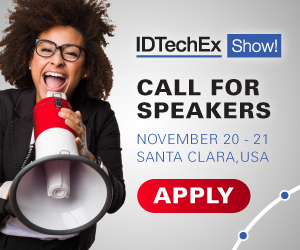 Learn more at the next leading event on the topic: Internet of Things Applications USA 2019 on 20 - 21 Nov 2019 at Santa Clara Convention Center, CA, USA hosted by IDTechEx.